This cake is just what its name suggests – a great cake for when you need to bake but you really can’t be bothered! When I first found the Lazy day golden cake recipe on bestrecipes.com, I was completely skeptical. It just seemed too simple. It works though, and that’s the brilliance of it. Throw everything into the mix master while you line a cake tin with baking paper. By the time the tin is ready to go, so is the batter. It’s as easy as that! 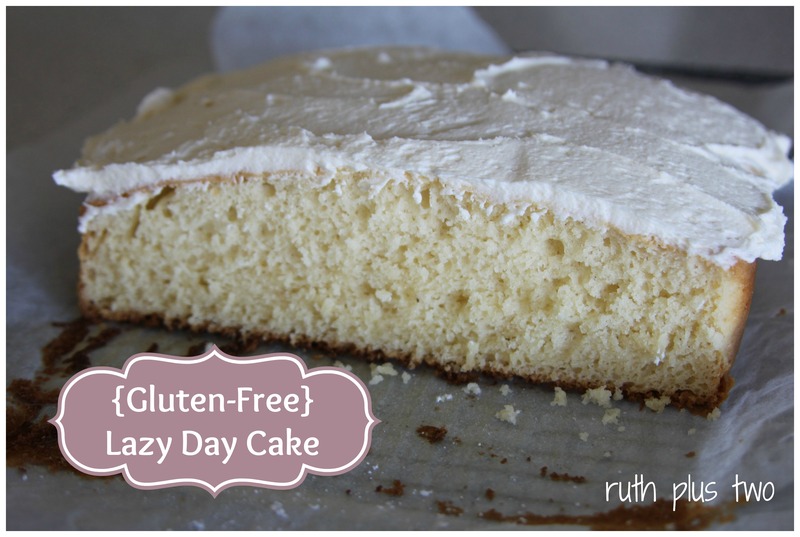 As a bonus, the Lazy day cake is light and fluffy in a way that not many gluten-free cakes are. I cut the sugar down when I bake this cake. The original recipe calls for one cup but I find that amount of sugar too sweet. 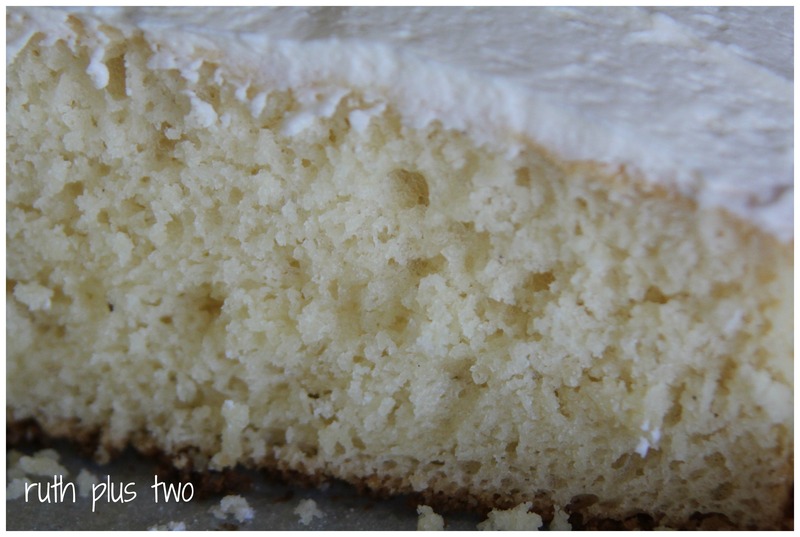 I usually ad lib and throw together a simple buttercream icing when I bake this cake. If I don’t have time to wait for the cake to cool, however, I just sprinkle it with a bit of demerara sugar and cinnamon before it goes into the oven. This version of the cake is gluten-free. If you don’t have any dietary restrictions, click on the link above for a recipe with normal plain flour (but consider reducing the sugar – I think it’s much nicer that way!). Preheat oven to 180°C (355°F) and line a 20cm x 20cm (8” x 8”) cake tin with baking paper. Sift dry ingredients into a mixing bowl. Add milk, butter, egg and vanilla. Beat at a medium speed for 3-4 minutes or until smooth. Pour into cake tin and bake for 35 minutes, or until a toothpick comes out clean. Cool completely and ice with a simple buttercream icing. This entry was posted in baking, gluten-free, recipe, sweet. Bookmark the permalink. that looks delicious and so easy! thanks!